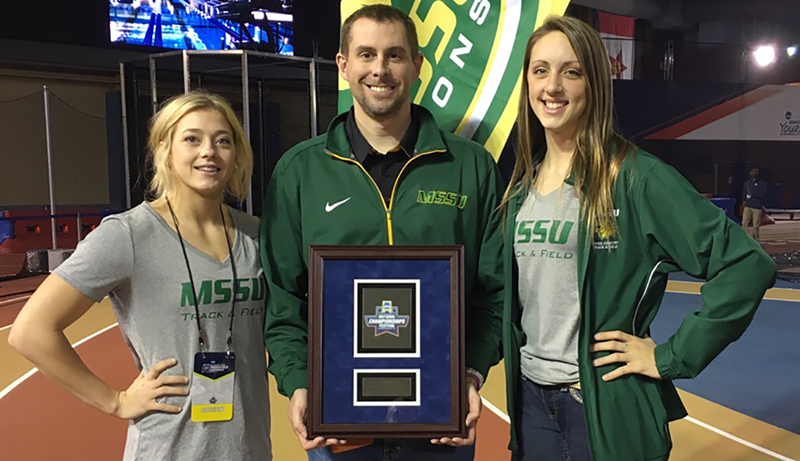 Birmingham, Ala. — The Missouri Southern women’s track and field team earned the NCAA’s Top GPA Award for women’s track and field and the award was presented at the closing ceremonies of this past weekend’s Division II Winter Festival in Birmingham. Each festival year, the NCAA gives out an award to the team with the highest GPA in each sport competing at that festival. The Missouri Southern women’s track and field team carries a cumulative 3.59 GPA, including the perfect 4.00 by Allie Heckemeyer who competed in the pentathlon at the Championships. The Lions will be back in action this Friday as the team opens outdoor season at Emporia State University.